Positions 1 and two are mutually exclusive, but positions 1 and 3, and positions 2 and 3 are not. 3) do not hold a belief on whether (A) is true or whether (B) is . So with this new writing positions (1) and (3) are mutually exclusive as are positions (2) and (3). So given this re-written position (3) could you point which position you take (1), (2) or (3)? However, you then went on to list the possible positions, your list is missing this set C.
A and B are complements. Your list of possible positions is not accurate. I challenge anyone to draw a diagram where A and B are not complements of each other but are mutually exclusive; and still span the space of U. Or if I'm wrong and somebody does manage to draw this diagram, make sure to post it! Those in position (3) do not hold beliefs (A) or (B). I guess I shouldn't hold my breath waiting for that diagram. I was replying to the bit above the "-------------------------------------------------------------------------------------------" line. I was pointing out that those in position (3) do not hold either belief (A) or belief(B). So (U - A) - B = C ≠ Ø, and that C is not empty. It contains those that hold position (3) so that the dichotomy you went onto to present was a false dichotomy, because you were ignoring those that had taken position (3). What I had failed to do however was to go on and read the part under the line, where you challenge "anyone to draw a diagram where A and B are not complements of each other but are mutually exclusive; and still span the space of U." But the point is that A and B do not span the space of U. Positions (1), (2) and (3) would though. This has been explained enough now, and if you still don't get it, then I will just leave you to it. Maybe some atheists on this forum would help explain it to you. Someone - I was pointing out that those in position (3) do not hold either belief (A) or belief(B). So (U - A) - B = C ≠ Ø, and that C is not empty. It contains those that hold position (3) so that the dichotomy you went onto to present was a false dichotomy, because you were ignoring those that had taken position (3). You went on to list 3 beliefs about those two statements about beliefs, including option (3); which means (3) is not in the first U. What you are saying now makes sense, but what you first told us is contradictory. My message to you was about this contradictory statement of yours. And I can defiantly do without the snide comments. What I first said made sense. What I first said made sense. Two belief statements were given (A) and (B). It was then pointed out that there are three positions a person could take (ignoring ones that don't believe in existence and thus deny that there is reality and ones refusing to think about it) with regards to those two belief statements. Position (3) isn't a belief, it is a lack of belief in either (A) or (B). If beliefs (A) and (B) had not been mutually exclusive then there would have been a lot more positions that could have logically been taken. Again, what you are saying now makes sense. But my complaint was about what you said earlier, which was contradictory. Now I'm sure you didn't mean for it to be; but unfortunately I only have access to what you write, not what you really mean. This is a classical example of an Equivocation fallacy. This is called a FALSE DICHOTOMY and it is being set up as a STRAW-MAN argument concerning atheistic beliefs. Atheism is not the position that gods do not exist. Atheism is the position of non-belief in god claims. Both A and B are god claims. A. God exists B. God does not exist. Atheists reject both claims as equally un-falsifiable. Now he changes the definition of Atheism. Prior to this we had an agreed upon definition. " atheism is an: "absence of belief in deities". So for convenience I will refer to this definition as the "official" definition." Now he is lying and shifting the definition to - "position (2) is known as "atheism" (2. B) Reality is one without any deities. ) 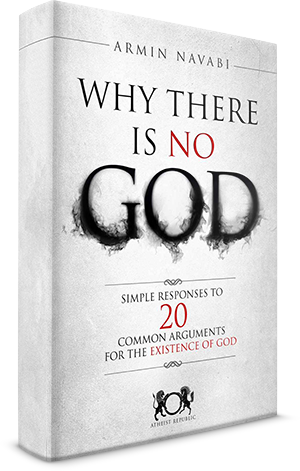 Thereby asserting all atheists make the assertion that there is no god. AS PREVIOUSLY STATED - WRONG BANANA-BREATH. Why is it the religious can not make an honest argument? 4. (3) is known as "agnosticism" YOU DON'T HAVE A CLUE. Agnosticism and atheism address completely separate issues. Belief and Knowledge. Atheism is "without belief." Agnosticism is "without knowledge. " Christians who believe can be agnostic. In fact, I assert that they all are for they no nothing at all about this God character they ramble on about,,, just like you. 5. Well it allows for statements such as people are born atheist. This is the official position of the Christian faith. You are born in SIN. You are born - out of favor with god. In Catholicism you will burn in hell if a priest does not drop a bit of water on your forehead and mumble a few words while dressed up in drag. This is the official view of religion - not of atheism. WE DO NOT BELIEVE IN GODS. Calling a new born child an atheist or a sinner is just as stupid as calling it a Christian. All you are doing is attaching labels to infants. You are arguing absurdity. Even if an atheist said something like your quote from Mr. Dawkins, we have no canon, we have no dogma, we have no rituals. There are no arguments from authority in atheism. What one moron says does not apply to the rest. Mr. Dawkins statement is based on the belief of the church towards the first born child. They are in fact atheists according to your own bible. They are heathen, sinners, separated from God at birth. That is a Biblical FACT. John 3:5 we read "no one can enter the kingdom of God unless they are born of water"
It is only modern Christians in the past hundred years , and not all, that began asserting babies go to heaven. The Catholics had to do away with Limbo as it was non-canonical and now they just don't know and leave it up to God. (Evidence of more Christian Stupidity.) The comment, "Babies are born atheist." has rung true for thousands of years. 6. Why do those on the forum that do take position (2) that prefer the "official" version prefer that version when it hides their belief (position (2))? Nothing is hidden. You are arguing a STRAW - MAN Atheists do not believe in god or gods. THAT'S IT. DEAL WITH IT. No reason to move any further in your argument. You have no realistic concept of Atheism or Agnosticism. You are being manipulative and using Equivocation fallacies to further your agenda. On this site. We just call that "Being Ignorant." I had been informed that you were one of the "heavy hitters" on this forum. I should mention that from glancing at your response, that doesn't say much for the atheists on here. Indicating that (A) and (B) were belief statements, and that there were 3 positions that could be taken with regards to them. So either you failed to understand that simple piece of text that I quoted or you were being intentionally dishonest. With the older terminology position (1) is known as "theism", position (2) is known as "atheism", and position (3) is known as "agnosticism". For convenience I will refer to this definition of atheism the "common" definition to distinguish it from the "official" definition, that implies atheism is the taking of position (2) or position (3). Clearly showing that I was indicating that there were two definitions of atheist, and I had explicitly distinguished them as the "common" definition and the "official" definition. So there was no shifting of definition, the "official" definition remains as it was defined, and the "common" definition remains as it was defined throughout the post. So no shifting and no lying (apart from it seems on your part, though you could I suppose claim poor comprehension abilities). As for agnosticism, I quoted and gave a link from Huxley, who invented the term. And the quote showed that he used the "common" definition of atheism. From what is on the page it also seems to be indicated that Huxley is suggesting not to have faith/belief in more than can be demonstrated. And so I assume Huxley would take position (3). So who on this forum takes position (3) but favours the "official" definition of atheism? So which position out of the 3 that I outlined regarding belief statements (A) or (B) do you take? They are all mutually exclusive, so it is not as if you can hold any two of them. "I had been informed that you were one of the "heavy hitters" on this forum. I should mention that from glancing at your response, that doesn't say much for the atheists on here." How many different posters are you going to use this rhetoric on? That's three I've counted. I'm not sure whether I should insert "lol" here? John will know. Who were the three? You and Cognistic I am aware of but who is the other one? I just got your names from NewSkeptic fan-person http://www.atheistrepublic.com/forums/debate-room/evidence-design#commen... . But he only mentioned you and Cog, So who else are you referring to? Were you lying? Or was it perhaps just a desperate attempt to tag team "John" into it because you two were such light weights there wasn't even a debate? [Suggestion: Why don't a few of you try to "tag" team Richard Dawkins into it I'm sure his email is on the internet, may send the "atheist signal" out and see whether he will come and try to save you. My guess is that if he reads the posts, he'll hide away somewhere. But if I am wrong and he enters the debate, then a guest star appearance for the site! Maybe if you bought his book, mention it and say something which has a sentiment like "I bought your book, and joined atheistrepublic, but this theist has come along and we don't know how to answer, could you help us?" though put it in your own pleading for help words]. John is a theist, he shares your undeserved cocky arrogance that he is the intellectual superior of everyone who disagrees with him. I have a question, why are most of the theist who come here just like you, so chippy and angry? Does it really bother you that much that there are people in the world who don't think your deity is any more real than Thor? It's not as if atheists are telling theist what to believe, or even how to behave as long as you respect their rights as equal to your own, let alone threatening an eternity if torture if you don't play ball. Why on earth would Professor Dawkins want to come here, you make it sound as if he is only an atheist, you do realise he's spent his life as one of the foremost experts in the scientific world in his chosen field. His foray into atheism with The God Delusion was prompted by years of listening to delusional theists try to blight the education of children by trying to shoehorn their creationist myth into the education system with the risible claim it should have parity with the scientific fact of species evolution. I can see his point, seeing his life's work attacked relentlessly in that way it's hardly surprising he went on the offensive. "he will come and try to save you. " Save me from what? I can turn your sententious drivel off any time I am minded to, and perhaps you shouldn't really be sawing at that particular branch. "Maybe if you bought his book,"
I already own it, and have read it, have you? usually chippy theists like yourself attack it with vitriol but when pressed show they haven't even read it. Which parts of the texts do you refute and why, I have my copy somewhere, I'd be happy to discuss it.
" but this theist has come along and we don't know how to answer"
Wow, it really is like John has a twin. You didn't mention who the third person was. Were you just lying? deities". So for convenience I will refer to this definition as the "official" definition. But as I understand it etymologically the "a" is not equivalent to "not", or the logical complement, it equivalent to "without". If you do then do you prefer to identify by a definition of atheism that indicates that you take either position (2) or (3), or a definition of atheism that indicates you take position (2)? If the former, could you explain why? Your options are not accurate reflections of this definition, as I already explained. Atheism is not a contrary assertion to theism, as in "I believe no deities exist", it is the absence of belief in a deity, as in I don't believe any deities exist. "Wouldn't evolution be expected to have been the same in a universe where chemicals followed the same laws of physics but no chemical combinations experience, even if their counterparts in this universe were thought to? " Would it, what objective evidence can you demonstrate for this assertion? "So he effectively ignores all the evidence that we are aware of, and goes on to provide a story which is at odds with the evidence that we are aware of. " What evidence? Cryptic hypothetical question based on universes that don't exist and we can't examine are not evidence, they're conjecture at best. "I don't find this a fully satisfying explanation of the evolution of consciousness,"
Which implies what? Again I sense that you are implying that not having a satisfying (your subjective opinion) explanation somehow validates your alternative claim, again if this is where you're going then this is the very definition of an appeal to ignorance fallacy. "He states that we have to admit that in the future computers could be conscious. Clearly we don't though, so that was simple dishonesty." How so? He offered an opinion by the sound of it, and admitted of a possibility, how is that dishonest? Again you didn't mention who the third person was, so I'll just assume you were lying. And you didn't answer whether you take position (2). Are you refusing to answer the question? Nor did you answer whether if you did take position (2) you prefer to identify by a definition of atheism that indicates that you take either position (2) or (3), or a definition of atheism that indicates you take position (2)? Or explain why (If the former). "I'll just assume you were lying." Well assumption does seem to be something you enjoy, so knock yourself out. "you didn't answer whether you take position (2). " That's a lie, I've answered twice, but I'll quote my answer verbatim again. Your options are not accurate reflections of this definition, as I already explained. Atheism is not a contrary assertion to theism, as in "I believe no deities exist", it is the absence of belief in a deity, as in "I don't believe any deities exist." "Nor did you answer whether if you did take position (2) you prefer to identify by a definition of atheism that indicates that you take either position (2) or (3), or a definition of atheism that indicates you take position (2)?" That's because your criteria are false representations of my atheism, I already told you this. None of those apply to my position, which I precisely outlined above, as atheism, as it is defined in the dictionary. My atheism is not a belief, note both 1 and 2 are assertions of a belief, my position is the absence of a belief. As in I don't believe in any deity or deities. Option 3 is moot, as neither A nor B apply to my atheism as I the dictionary defines it. How many times do you need this explained, and why are you lying that I haven't answered when my answer is in the post you responded to above for everyone to see? you didn't answer whether you take position (2). Yes I saw that response, but it doesn't answer whether you take position (2). You can be an atheist and take position (2) or you can be an atheist and take position (3). So just claiming you are an atheist, doesn't answer whether you take position (2) or not. Both those that take position (2) and those that take position (3) qualify as an atheist given the definition you supplied. hat's because your criteria are false representations of my atheism, I already told you this. None of those apply to my position, which I precisely outlined above, as atheism, as it is defined in the dictionary. My atheism is not a belief, note both 1 and 2 are assertions of a belief, my position is the absence of a belief. As in I don't believe in any deity or deities. Option 3 is moot, as it neither A not B apply. How many times do you need this eplained, and why are lying that i haven't answered? Both positions (2) and (3) qualify as atheists positions given the definition you supplied. Both positions imply that the person lacks a belief in the existence of any deities. You now seem to be claiming that you don't hold either position (2) or (3). So what position do you take regarding belief statements (A) and (B). I thought there were only three possible positions (ignoring those that don't believe in reality, or refuse to think about it). Is it that you can think of a 4th position, or are you denying reality, or just refusing to think about it, or lying? @Cognostic: Calling a new born child an atheist or a sinner is just as stupid as calling it a Christian. All you are doing is attaching labels to infants. You are arguing absurdity. Even if an atheist said something like your quote from Mr. Dawkins, we have no canon, we have no dogma, we have no rituals. There are no arguments from authority in atheism. Good posts, @Cognostic et al. @Someone: when an atheist says that kids are born atheists, they are referring to the fact that to become a believer you need to be indocrinated, and if you are not, you remain an atheist, meaning "who lacks belief". Atheism doesn't require brainwashing; religions do. I understand that they mean the child is born in position (3). The point was though why do those that take position (2) favour the "official" definition of atheism rather than the "common" definition? Do you take position (2) and favour the "official" definition of atheism. If so than explain why you favour the "official" definition which doesn't make it clear whether you take position (2) or (3) over the "common" definition that makes clear your belief. Give up on your silly positions of atheism. Atheism is a lack of belief in god. That;s it. Stop building straw men. "If so than explain why you favour the "official" definition which doesn't make it clear whether you take position (2) or (3) over the "common" definition that makes clear your belief." What "official" definition? Who makes it official? This sounds dubious to me, as words are defined in the dictionary, and the definitions are from common usage, the most commonly used definition is the primary definition when the word has other nuanced meanings, and words often change their meaning over time. That's a true reflection of my own position. "A) Reality is one with one or more deities. B) Reality is one without any deities.."
Neither of those represents the common usage or primary definition of atheism. Proposition B is worded as a claim or assertion, and atheism is not a claim or assertion. (A) and (B) are just two belief statements. I use them so that I can refer to either without using the term atheism. Collins dictionary in 1999 defined atheism as: The belief that there is no God. The point is that there is more than one definition, and I made a distinction between two. "Collins dictionary in 1999 defined atheism as: The belief that there is no God." You are wrong, and also dishonest. You found one dated definition. In that same Collins dictionary atheism is also mentioned as "rejection of belief in God or gods", and "the belief that there is no God, or denial that God or gods exist". And you have also read it directly from atheists like myself, who state "I lack a belief in any god because of lack of evidence." @ I had been informed that you were one of the "heavy hitters"
Whatever - Going back and reading the others who have commented on your silliness, I am not the only one pointing out your juvenile attempts at Equivocation, False Dichotomy, and flat out ignoring the facts. 1. Either A) Reality is one with one or more deities. 2. Or B) Reality is one without any deities. 3. Or C) Reality is one with deities that have nothing to do with anything in our universe. 4. Or D) Reality is one with beings we think are deities like universe creating bunny rabbits. 5. Or E) We could actually be the deities playing hide and seek with ourselves as in Hinduism. In which case there is only deities and so any distinction becomes irrelevant, we are all the same. 6. Or F) The universe itself might be a living life creating being but why would we call it a deity? To some it would obviously be a deity but to others not. I suppose we have to define deity at this point. You must prove reality is one with one or more deities just as you must prove reality is one without any deities. These are two separate assertions. B) B) Reality is one without any deities. ( How do you know this and what reason do I have to believe this claim?) THIS IS THE ATHEIST POSITION. Depending on the specific God you are asserting "exists," I may take an anti-theist position and agree with your statement "Reality is one without any deities." This is entirely contingent on the deity, you pose, has existence. AHEM .... Huxly: "Huxley coined the word "agnostic" in 1869, and said "It simply means that a man shall not say he knows or believes that which he has no scientific grounds for professing to know or believe." I am in agreement with Huxly. I would never say something as silly as "Reality is one with one or more deities." or "Reality is one without any deities." How in the hell would you know such a thing? When did you decide that there was an official version? Atheists are people who do not believe in God or Gods. 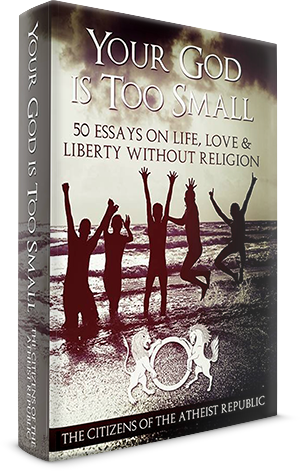 If an atheist opts to assert or believe that a god does not exist, that is still not believing in a god or gods. It is just an added assertion that requires evidence. Some Gods by their very definition are logically impossible. An all knowing god is self contradictory. Are you saying you take position (3)? Huxly: "Huxley coined the word "agnostic" in 1869, and said "It simply means that a man shall not say he knows or believes that which he has no scientific grounds for professing to know or believe." And also are you saying that the people on this forum that take position (2) are silly (after all given your quote Huxley was saying "know or believe" which seems in line with position (3) lack of belief being an agnostic position as I had stated)? Im ignorant of who is WLC? William Lane Craig - He uses the Kalam Cosmological Argument, The Argument from Morality, and other debunked garbage. He is an excellent debater and knows all the tricks of the trade. His debates are a continuous stream of fallacies, shifting the burden of proof, and outright lies. He's also on record as an apologist for genocide. He stated if his deity committed genocide then it was a moral act. His argument from morality was asinine before this, but it gets a real belly laugh now. Objective morality means genocide is moral, you couldn't make it up, he's almost taking all the fun out of it by defeating his own arguments. You have made two separate assertions, both of which you can not support. You are confusing agnosticism with atheism. Atheism is about belief. Agnosticism is about knowledge. You simply ignore anything you don't want to hear and move forward with your ignorance. You have been told an atheist position on all three of your points and still you want to argue a straw man. Atheism is a position on a single assertion. "God exists." This claim is un-falsifiable. There is no reason to believe it. Agnosticism is a claim about KNOWLEDGE. If you got some present is and stop building straw men and playing the equivocation game. The Quote is quite famous and used all over the internet.